Use energy saving LED lights. As part of their green makeover project, the family also learned to cut their energy use by switching off appliances that aren’t being used, and switching to washing laundry with cold water as well as hanging laundry out to dry rather than using a tumble dryer. “My children were very excited as we got to do this as a family,” Makalima-Ngewana, a consultant at the University of Cape Town’s Graduate School of Business, told the Thompson Reuters Foundation. The “My Green Home” project was launched in an effort by the Green Building Council of South Africa to make buildings more energy efficient. Working together with the C40 Cities initiative, this is a group of major world cities trying to cut climate-changing emissions, the plan is to require all new buildings in Johannesburg, Cape Town, eThekwini (formerly Durban) and Tshwane (formerly Pretoria) to become much more energy efficient, to reduce electricity bills and greenhouse gas emissions. Moneyweb reports that Tim Pryce, who runs C40 energy and buildings programmes worldwide, said the effort seeks to help South African cities rapidly scale up low-carbon building efforts and share what they learn with other cities. Buildings make up the largest single source of emissions in C40 cities globally, with over half of the total emissions, he said. “If we are to avoid hugely damaging impacts from climate change – impacts that will make the current water shortage in Cape Town look minor – we need to drive these emissions down as rapidly as possible, towards net zero carbon all around the world by 2050 at the latest,” Pryce told Thompson Reuters Foundation. “It is indeed a good thing,” said Thulani Kuzwayo, a marketer with the Green Building Council South Africa (GBCSA), which has certified over 300 “Green Star” buildings since 2009. To achieve the certification buildings must be energy efficient, comfortable, handle waste responsibly and contain spaces that contribute to the health and well-being of their users. The effort “can shift paradigms in planning, design, construction and building operation,” said Kuzwayo, who is also chair of World Green Building Council’s African regional network. Because many buildings are made to last up to 50-100 years, building them for efficiency can result in a huge savings in climate-changing emissions over time, Kuzwayo said. However, South Africa is still at the early stages of adopting green building standards, he said. 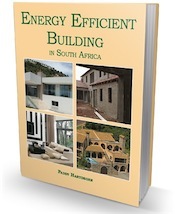 “The problems encountered include the common perception that green buildings are expensive. They can be but they don’t have to be,” he told the Thomson Reuters Foundation. Perceived elitism associated with green buildings also can be an issue, as people tend to view them as expensive, he said. He said changes in how buildings are created must be led by governments “for the desired scale and impact”. “If government leads in constructing and operating energy-efficient buildings, it will propel the adoption drastically,” Kuzwayo said.